The Low Emission Development Strategies Global Partnership (LEDS GP) was founded in 2011 to facilitate peer learning, technical cooperation and information exchange to support the formation and implementation of low emission development strategies. It has a focus on support to developing countries and regions. By supporting peer networking and bringing together support programmes with live policy processes, LEDS GP helps to build the capability of practitioners and progress low emission development in a practical way. LEDS GP engages leaders from over 300 institutions across government agencies, technical institutes, international agencies, and NGOs. It operates through regional platforms in Africa, Asia, Europe and Eurasia, and Latin America and the Caribbean and has six technical global working groups and a global secretariat. Developing country leaders in each region set priorities for learning, collaboration, and advisory support delivered collectively through the Partnership. achieve social, economic and environmental development goals. These strategies include national climate change laws, green growth strategies and plans, sectoral plans for low emission development, Nationally Appropriate Mitigation Actions (NAMAs) and Nationally Determined Contributions (NDCs) to the 2015 Paris Agreement under the UNFCCC. The Partnership does not adopt any particular definition of low emission development or low emission development strategies. LEDS GP links practitioners and policymakers through a network of four dynamic regional platforms and six crosscutting working groups. Supports effective development and implementation of new LEDS worldwide by national and subnational governments. To achieve this, LEDS GP harnesses the collective knowledge and resources of its global membership – drawn from 79 countries plus international donor and technical organizations, and involving over 300 institutions. Join LEDS GP: Membership is free to organizations, individuals and governments working to promote LEDS at local, national, regional and global levels. Peer learning: Bringing together LEDS practitioners to share their experiences, lessons, and good practices through workshops, a Fellowship program, remote forums, and communities of practice. 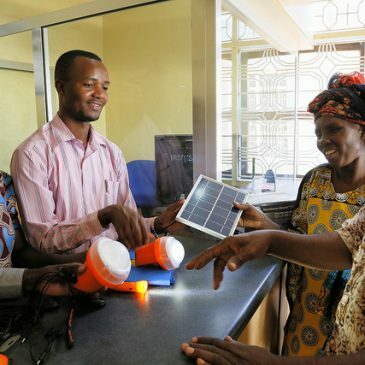 Technical assistance: Our Remote Expert Assistance on LEDS (REAL) service facilitates cooperation and develops, improves, shares, and enables access to analysis, tools and data, technical reports, good practice studies, and communication products. Knowledge resources: Access to enable practitioners to champion LEDS and Nationally Determined Contributions (NDCs). Early mover projects: Support to help progress specific aspects of LEDS and NDCs. LEDS GP operates through an innovative distributed leadership model. Regional institutions manage the platforms for Africa, Asia, Europe and Eurasia, and Latin America and the Caribbean, and their national and regional members identify key priorities. Click on the image for a summary of LEDS GP’s results framework for 2017-2020. The Partnership is coordinated by a joint secretariat (the Climate and Development Knowledge Network and the National Renewable Energy Laboratory), guided by a steering committee. It follows the Latimer House Principles. The Partnership’s work and collaboration is supported by the US State Department and US Agency for International Development (USAID), the UK Department for International Development (DFID), the European Commission, the Inter-American Development Bank, the World Bank, and a range of other donors. The network has an innovative devolved and distributed leadership structure that places national needs at its heart.